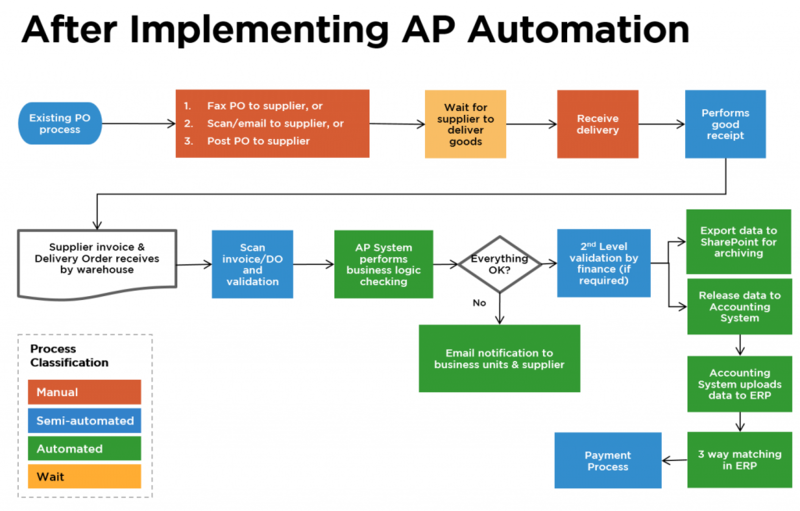 Here is a typical Accounts Payable (AP) workflow for processing payment to a supplier. There are four classification of processes – manual, semi-automated, automated and waiting actions. Before implementing an AP automation system, there are many processes that require manual intervention. This takes up manpower, and prevents the person from performing more valuable tasks for their organisation. Due to lack of automation, the entire AP workflow is also more complex, as additional processes are now required to perform confirmation checks to prevent errors. If any part of the process chain is disrupted, such as delayed invoices or a problem with a supplier’s delivery, a bottleneck can occur and the person managing the workflow has to perform the same checks all over again. 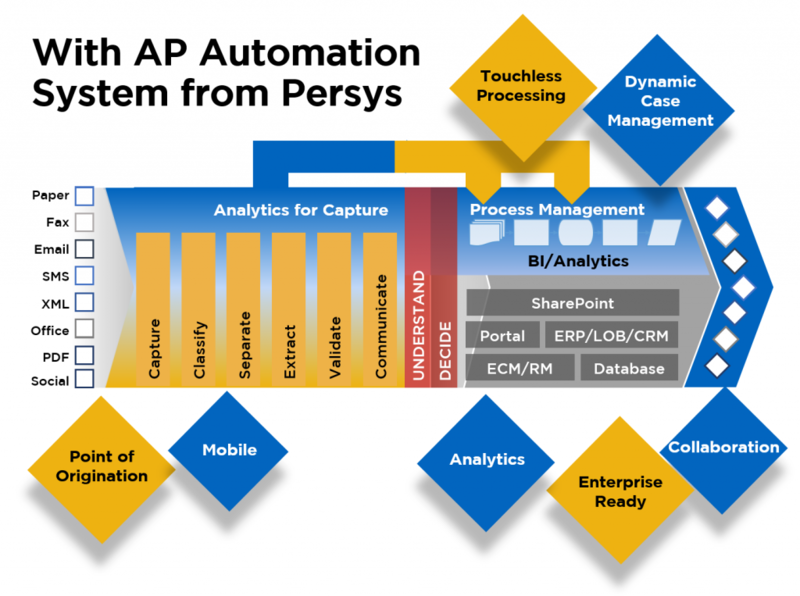 After implementing an AP automation system by Persys, the AP workflow is simpler, with most processes automated or semi-automated and with less wait times. The only manual action required is at the beginning of the workflow, mostly to initialise the AP process. This frees up at least one manpower to pursue other more productive tasks within the company, instead of encumbering them with repetitive checking tasks that can be automated with software. 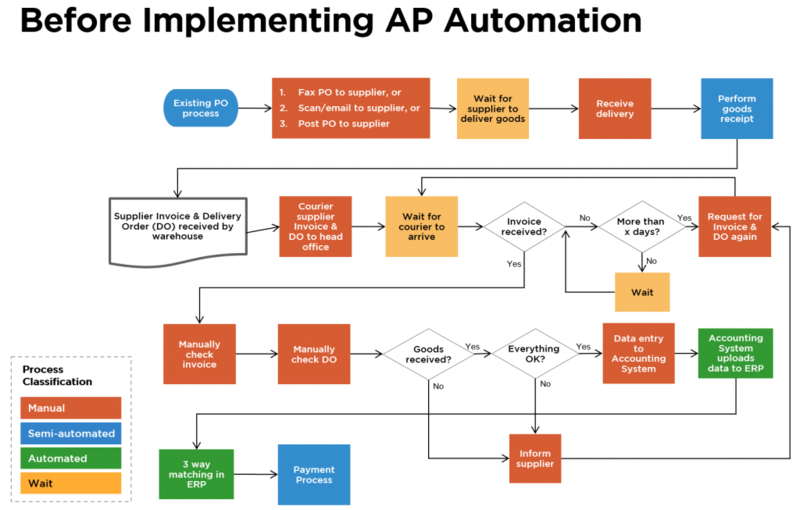 Simplified, here is how the AP workflow looks like with our AP automation solution. With the rest automated with our system, you only need to manage review, coding and approvals. Market-leading capture combined with best practice workflows for complete invoice processing automation. Capture and digitise invoices at point of entry. Deliver highly accurate information to ERP (Enterprise Resource Planning) systems. Real-time integration with SAP and Oracle. Low cost, easy-to-adopt solution to automate supplier interaction. Enables supplier integration. Real-time process interaction giving finance managers views into processes and tools to take required actions for performance optimisation. For every piece of information that comes in, before it can be of value, an organisation has to look at that information, understand what kind of information it is, decide what to do with it, and then only direct it to the appropriate system or business process. The length of time taken to process this is usually significant as it involves much attention and effort to avoid mistakes. Our AP System captures information at the Point of Origination, as soon as it is available, whether from our customer’s home, local branch office, or field representative using a smartphone or mobile device. Our AP System then both automates & dynamically manages the flow of that information throughout the organisation. This results in increased and faster access to that information leading to enhanced process efficiency and business agility. DELIVERS the information to the right people and systems for immediate and appropriate action. Our Dynamic Case Management feature automates and dynamically manages the business process and information throughout an organisation, enabling Collaboration and resulting in more effective decisions by knowledge workers. 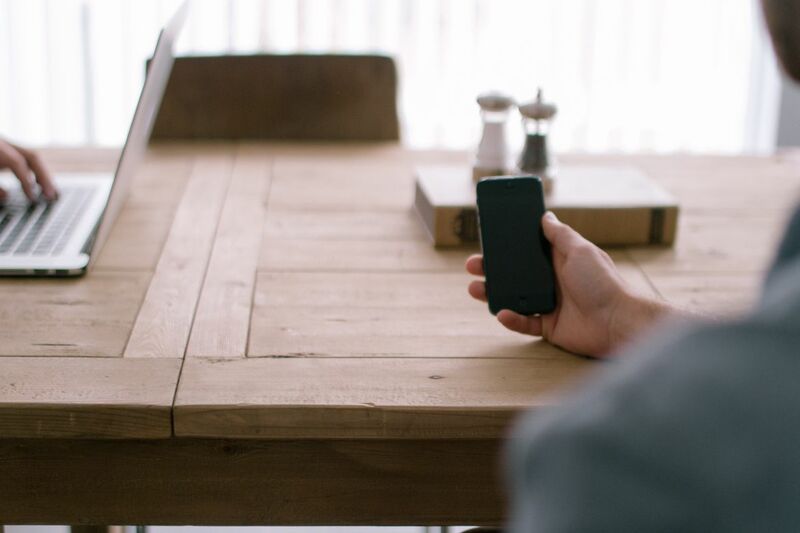 Customers and constituents can also participate in the business process all the way to the Point of Origination on Mobile devices. Analytics are incorporated throughout the solution environment with management, reporting, and dashboards available at all steps in the process. Our AP System easily integrates with existing IT infrastructure & applications including ERP (Enterprise Resource Planning), LOB (Line of Business), CRM (Customer Relationship Management) and other BPM (Business Process Management) applications to provide easier installation, deployment, operation, administration and maintenance. This enables you to take advantage of Capture-enabled BPM, improving the agility of your businesses without the costly and complex task of configuring ECM (Enterprise Content Management) and LOB systems at the same time. Our enterprise-ready AP solution easily integrates with existing IT infrastructure and applications including ERP, LOB, CRM and other BPM applications to provide easier installation, deployment, operation, administration and maintenance. This translates into a lower total cost of ownership (TCO) and higher return on investment (ROI) for you. Market leader in multi-channel capture. Number 1 in batch image capture. Number 1 in batch content capture. Number 1 in enterprise capture. Leader in Smart Process Applications – ranked by Gartner Magic Quadrant for Intelligent Business Process Management Suites (iBPMS). We have helped our clients gain these benefits with AP automation solutions customised to fit their existing business processes & systems. Arrange a free live demo with us today to find out how your company can also benefit. Or feel free to ask us any questions about our AP System features.